My fourth graders and I have been working on adding and multiplying decimals, and I wanted to spice things up a little bit. I wanted something more exciting than plain old practice problems, something a little more meaningful. With this in mind, I decided to take my students on a little hypothetical shopping trip. I looked through some catalogs at school, but nothing really spoke to me. Then, I turned to the internet. I went to Oriental Trading and started looking up items I thought my students would be interested in. The students took turns picking what items we would purchase for the party. 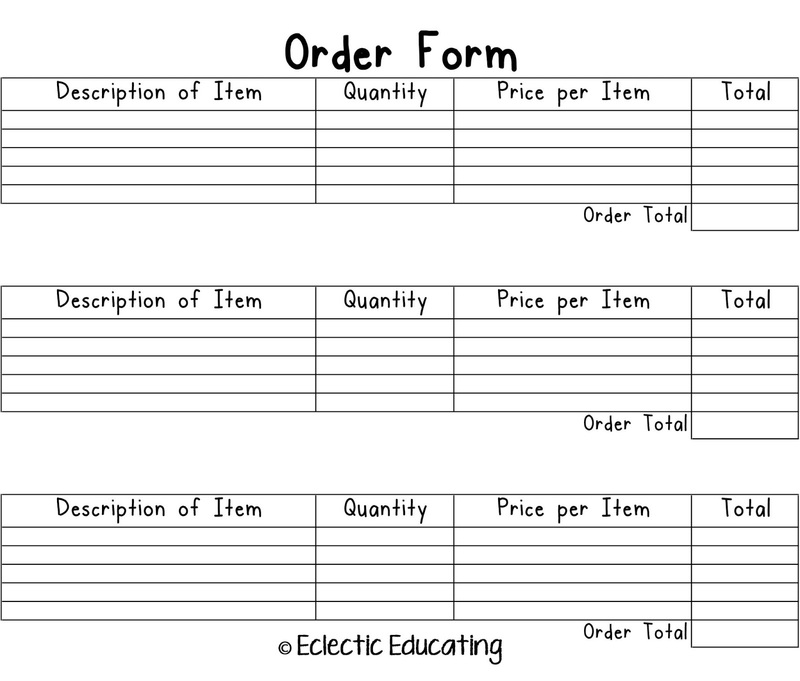 We recorded these items on our order form and added all our purchases up at the end. 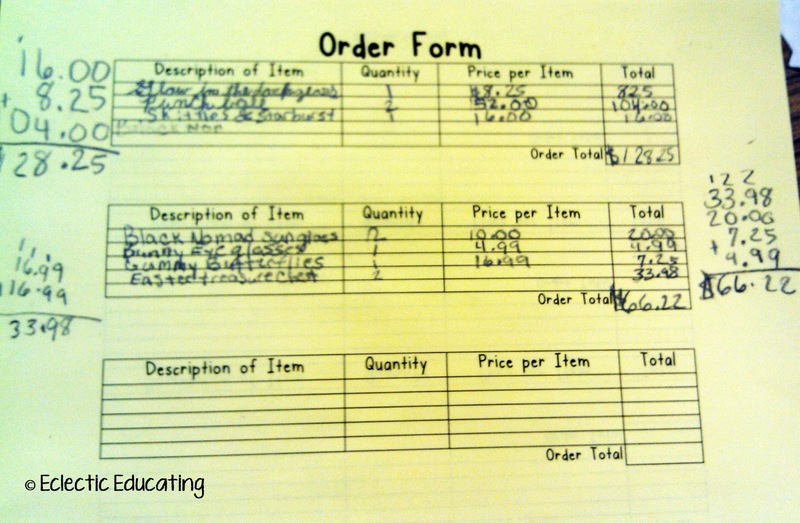 It was very interesting to see which items certain students picked. Some of the students did not agree with one particular boy's choice to spend $52 on bouncy balls. We all had a good laugh about that! The nice thing about this activity is that it works on adding decimals AND multiplying decimals. 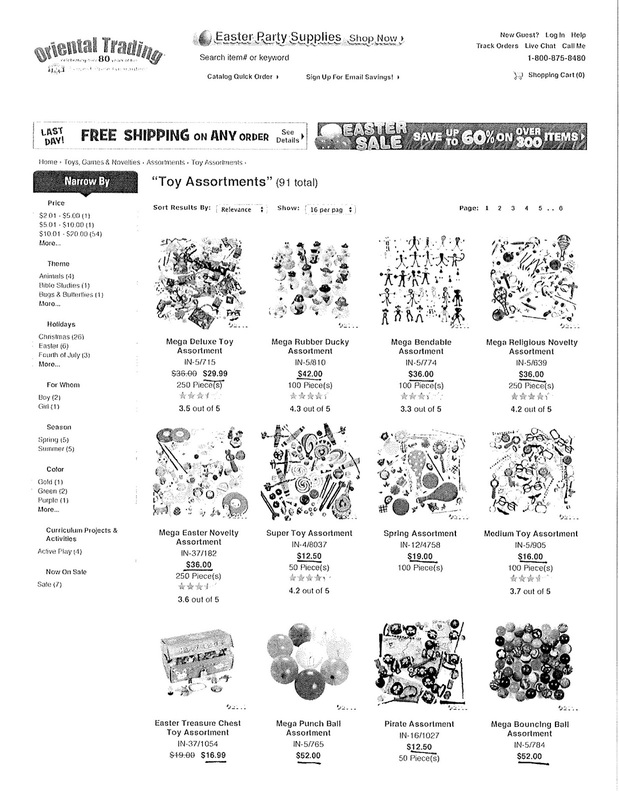 For some items, we chose to buy more than one. Most of the students were not familiar with the word quantity, so this was a great teachable moment. 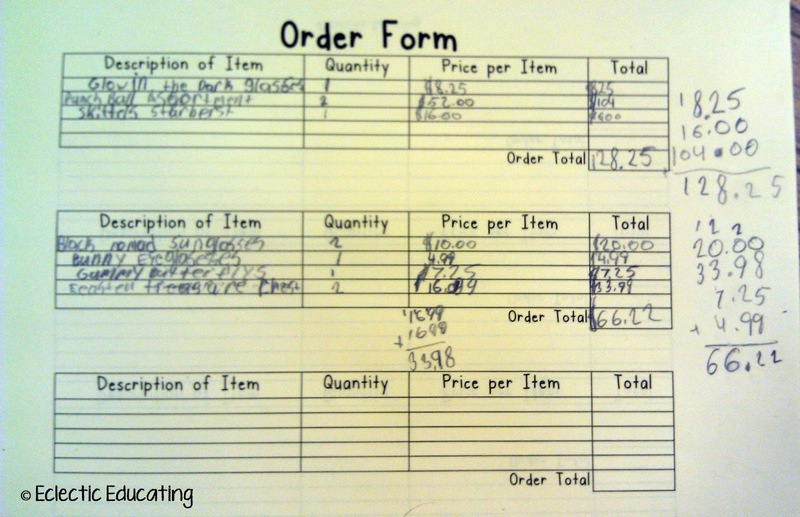 When we purchased more than one, we had to multiply the price per item by the quantity. I dare say, we actually had fun adding and multiplying decimals! The time really flew by. We had some great learning, and we had some good laughs. Definitely more meaningful than "drill and skill!" If you would like a copy of the materials in the lesson, click here! How do you embed mathematics in real world contexts? This is great! Thank you so much for sharing!!! I love when it's applicable to real life!! Great real-world application! 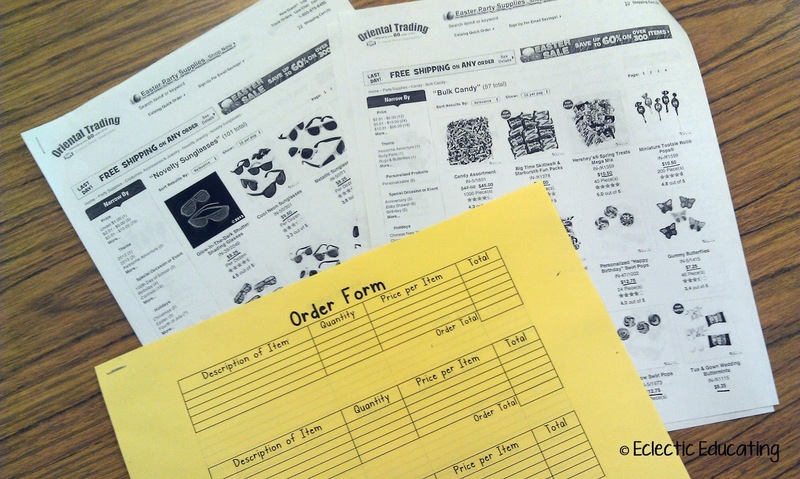 I love using online shopping to teach math. I did it when I taught French- we shopped at Les Trois Suisses and the students had a budget they had to stay under. It was such a great lesson, although watching them try to justify spending 465 euro for a pair of sneakers was really funny! Awesome activity, thanks for sharing! Amy, thank you so much - this is awesome!! What a great way for them to be motivated! I used real life in my social studies unit last year. The kids were doing work with imports and exports so we used the grocery flyers and the kids had to see what countries the different goods came from. I think they were pretty surprised! I will definitely be using this activity next year. Thanks again! Amy, I bet your kids were so into this activity. I don't even teach math and this got me excited! I know my students would really be engaged in an activity like this one. Your blog is great...I'm your newest follower! This is a great idea for the kids to learn! Thanks for sharing at Manic Monday! This is a great idea! Thanks for sharing. I am going to "pin" this blog post. What a great idea for real life application! One of the things I remember most from school was this time we had to create a real Thanksgiving dinner using a set amount of money and grocery store fliers. So much more exciting than problem after problem. This is such a great idea! My 4ths and I will be hitting decimals hard after Benchmark passes. They're going to love trying this! Thanks for the awesome idea! !